Social Media, is a bit of a trigger phrase these days. Fans, riders, and teams are not quite sure what to make of all the different media avenues. I can tell you without a doubt, social media is here to stay. 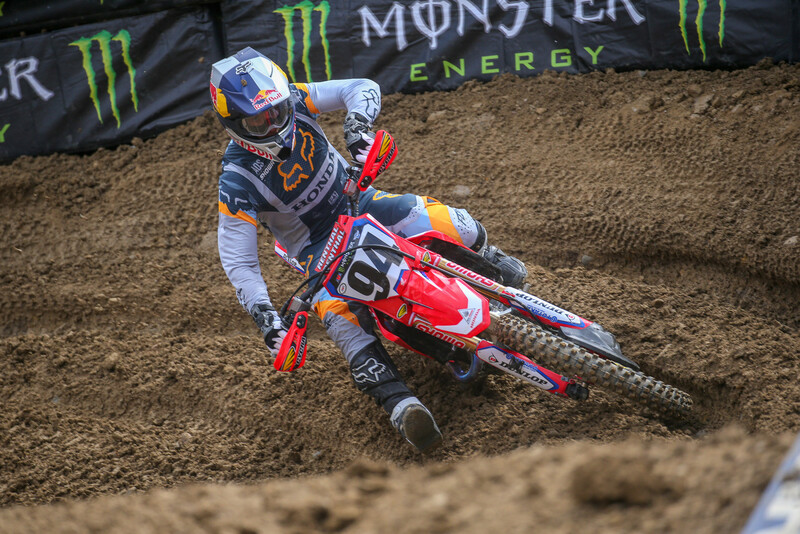 Monster Energy Supercross fans have taken hold of social media, but some teams and riders are far behind. Teams are still using social media like brochure advertisements. That's unfortunate, because the social media platforms have caught on and their reach is limited. Social media algorithms show their users posts that interest them and inspire interaction. When teams use generic photos and captions that don’t elicit responses, they only reach a fraction of their followers. Monster Energy Pro Circuit Kawasaki has 337K followers on Instagram, but their posts are averaging about a 1.5% interaction rate. Compare that with Connor Erickson from @buttery_films who has 339K followers and gets about 7% interaction. I may not be the best at math, but I am sure more people see posts from Connor than the entire @pcraceteam. While Connor is interesting and very good at grabbing interactions, the Pro Circuit team is missing out on so many storylines that are ignored. Newsflash Supercross teams, even when you try and hide your riders’ injuries we still find out. Pro Circuit had an opportunity to use their platform to release the news about Austin Forkner’s torn ACL, we all found out anyway. They could have controlled the narrative while receiving substantial social media exposure for the team and their sponsors. Sponsors pay money to teams because they get publicity and product credibility. Before the invention of social media, teams largely controlled what information was released and how it was released. Times have changed, by the time teams type their press releases the information has probably been shared on social media over and over again. It’s time to embrace the fishbowl that is social media by becoming more transparent. I guarantee if @pcraceteam put anything of substance on their Instagram, it would grow exponentially. Riders need to use their platform to promote their careers. While they don’t need to share everything about their lives, they need to share some relevant material. 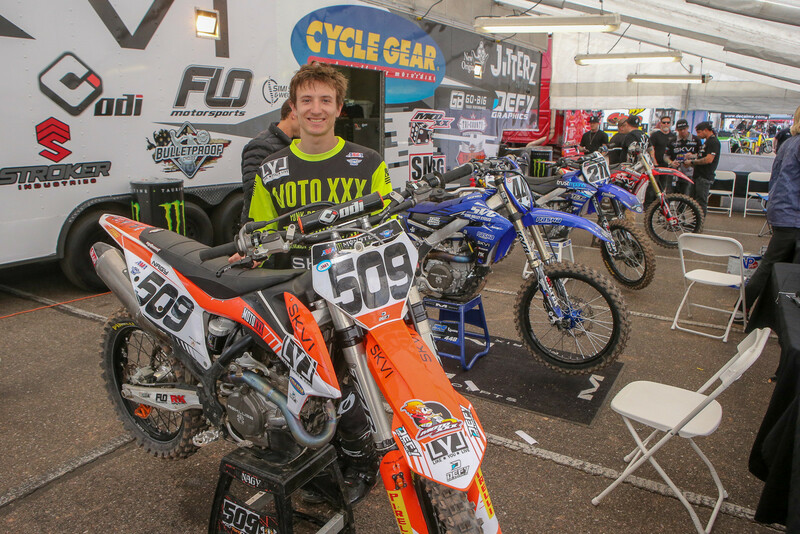 Alex Nagy @alexnagy509 is one of the most die-hard privateers on the Supercross tour. When I look at his Instagram, he looks no different than any other racer. I have heard stories about him sleeping in a rental car the night before races, yet I see none of this on his page. I talked to him at Houston and he had driven from Indianapolis to Seattle then to Houston with no practice days at all. While nobody wants to hear a sob story, we do want to know the true privateer struggles. This privateer hero has 5754 followers, but if he documented his life and shared both good and bad, his followers would grow dramatically. With followers and publicity, he becomes a valuable marketing tool for potential sponsors. In the past few weeks, I have had a few racers DM me on Instagram explaining their posts or questioning mine. I asked one rider why he was specifically vague and he told me his team required him to be vague. When a rider says something like, “...due to circumstances...”, I get annoyed and I can’t be alone. When riders say specifically vague statements they are insulting their fans. Explaining everything the team will allow and omitting the rest is more authentic. Statements like, “...due to circumstances...”, or posts where the rider tells you, “they feel better” without actually tell you what was wrong is insulting. Often riders are at the mercy of their teams, but teams need to remember racing is nothing more than a really fun marketing tool. Almost all the money spent in the sport has the goal of publicity, the rest is entertainment. - TV took 13 years to reach 50 million users, Facebook added 200 million in less than a year. - Facebook tops Google for weekly traffic in the U.S.
- 1 out of 8 couples married in the U.S. met via social media. - If Facebook was a country it would be the third largest behind China and India. - 80% of companies use social media for recruitment. - 50% of the mobile internet traffic in the UK is for Facebook. - YouTube is the second largest search engine in the world. I don’t necessarily love every aspect of social media; but it’s here to stay. The sooner everyone accepts the new reality, the better chance of growing the industry with the next generation of Supercross fans. Chris Cooksey is life-long motocross enthusiast, racing professionally in arenacross, motocross and supermoto. Chris obtained his degree from Arizona State, majoring in business and communications. After college, Chris immersed himself in the business and social media aspects of the industry. Chris enjoys sharing his opinions. Sit back and enjoy the view from his perspective. Buttery Films is an idiot who posts his antics online and he attracts a different and bigger demographic than the pc race team. 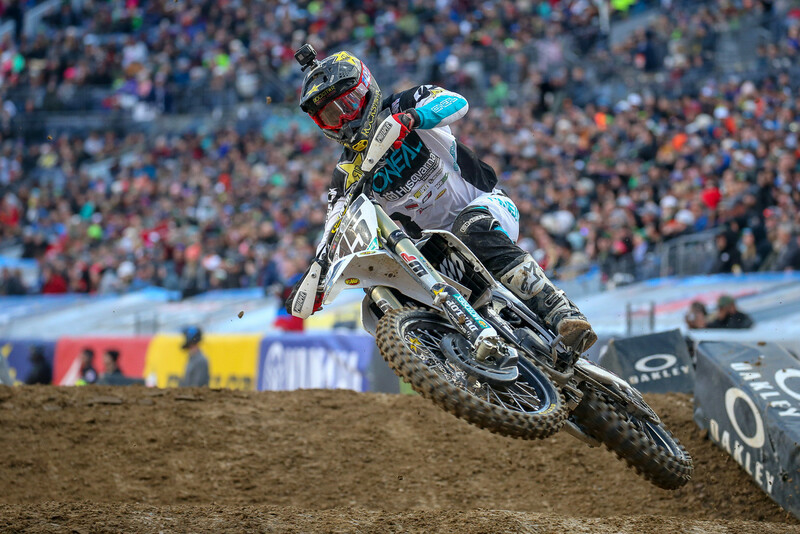 It’s been a tuff year for JGR however with social media I believe Weston Peick’s comeback story could be huge. Weston’s girl has a massive following, Everybody loves a good comeback story. I see Weston getting some huge attention coming back from the injuries he had. Should be excellent exposure for him, JGR, and Suzuki. I hope Weston takes full advantage of the situation. I never understood why teams don’t take more advantage of social media. Would be a great come back story and wish the best for him. He did it the hard way coming through the ranks. I remember him kicking his bike off the stand when he thought he didn't make the main awhile back. Lots of passion to win. Social Media allows every athlete the opportunity to market and brand themselves with their own personal highlight real. I can’t understand why everybody in the game wouldn’t take a cue from Deano, Colin and Josh Hill. Granted, their job is to perform on Saturday and that takes focus and dedication; however, those guys have enough man friends to run their social media platforms to double or even triple the amount of traffic their receiving. Smart and simple.